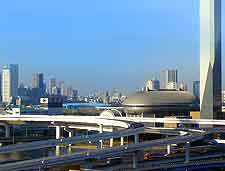 Visitors travelling to Tokyo usually arrive by air, although if you are arriving from a neighbouring city, bus and train transport are also good options. Those flying into the area will land at the nearby Narita International Airport, which features a range of ground transport, providing many easy ways to travel into central Tokyo. The city of Tokyo itself boasts an excellent public transport network, with reasonably priced buses, trains and taxis in operation. 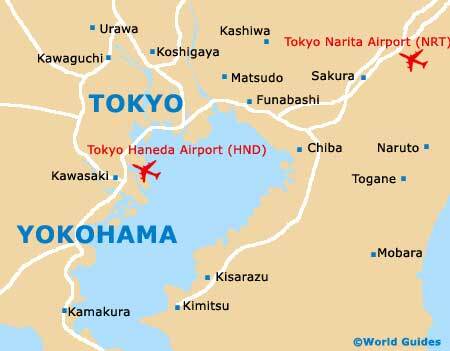 Also referred to as Haneda Airport, Tokyo International Airport serves as Japan's premier air facility, handling in the region of 65 million travellers every year. Situated on the south-western outskirts of Tokyo and roughly 15 km / 9 miles from the city centre itself, this airport comes with two terminals and is served by roughly 40 different airlines. Apart from connecting numerous Japanese cities, various international destinations can also be reached, such as Bangkok, Frankfurt, Kuala Lumpur, London, Los Angeles, New York, Paris, San Francisco, Seoul and Singapore. 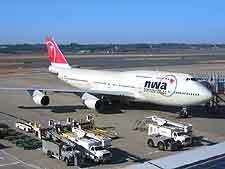 Narita International Airport is Tokyo's second-busiest air transport hub and an extremely busy gateway into the city. 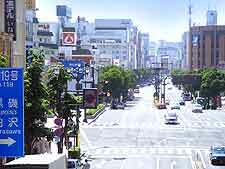 It is located in the town of Narita, nearly 65 km / 40 miles north-east of Tokyo city centre. Facilities are extensive and consist of banking, money exchange outlets, ATMs, restaurants and other eateries, lounge areas and shopping, including duty free stores. Transportation to and from Tokyo Narita Airport includes the Narita Express train, which offers affordable travel into the heart of Tokyo, Shinagawa, Yokohama and Shinjuku; the Keisei Skyliner train, stopping at Nippori and Ueno; and also Airport Limousine bus transport, which travels to a selection of hotels around central Tokyo. If you want to hire and drive a car in Tokyo, you will need to have a Japanese or international driving license. Car rental travel agencies can be found at the main airports, as well as in the city centre, and include a range of international companies such as Budget, Avis and Hertz. The minimum age limit for driving in Japan is 18 years. Book your Tokyo HND Car Rental here. Book your Tokyo NRT Car Rental here. 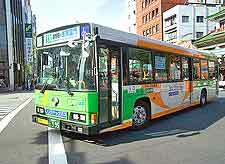 Travelling by local bus transport is one of the most cost-effective ways of getting around Japan and reaching Tokyo. The country's long-distance services are extremely comfortable and a reliable alternative to the more expensive train and air services. Most long-distance bus services travel overnight and often include reclining seats, refreshments, blankets, television and toilets. The Shinkansen (bullet train) is amongst the fastest trains in the whole world. Although surprisingly it is only a little less expensive than flying, all of the train stations are more centrally located than airports, making train transport an extremely convenient way to travel into Tokyo. 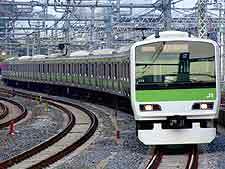 The Tokaido Line offers services west from Tokyo to Nagoya, Kyoto, Kobe, Osaka, Hiroshima and the island of Kyushu. The Joetsu Line runs to Niigata and there is also a new bullet train to Nagano. For non-Japanese speakers, local taxi transport in Tokyo is not really a viable option. In order to travel with confidence, it is advisable to have your destination written in Japanese. Taxi travel is also fairly expensive in the city of Tokyo, with rates increasing at night. Most train and bus stations have a taxi rank, which is easy to locate. A red light in the cab means it is vacant, whereas a yellow light indicates it is occupied. A green light means that the night-time travel surcharge is in operation.